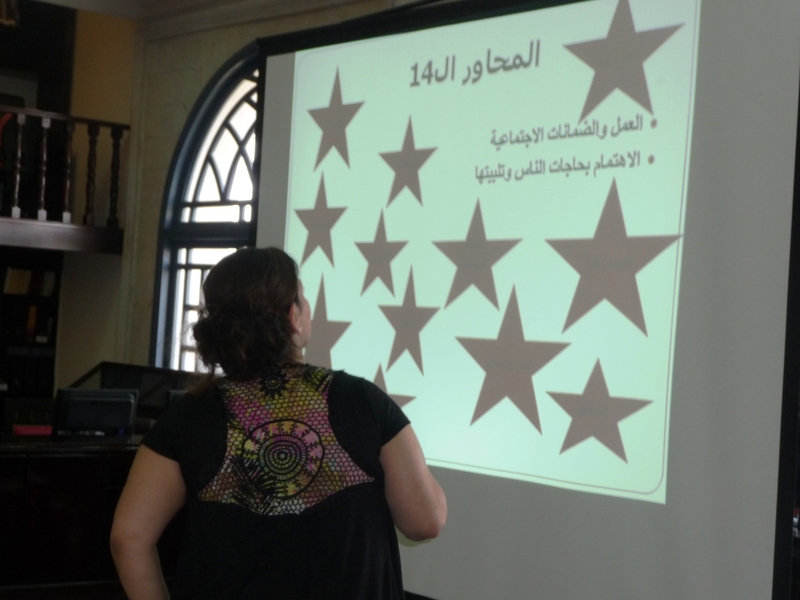 The Women Democratic Gathering, in collaboration with the Youth and Culture Center (YCC) in Zouk Mikael, held a training course on “Women’s participation in public affairs” for two days. 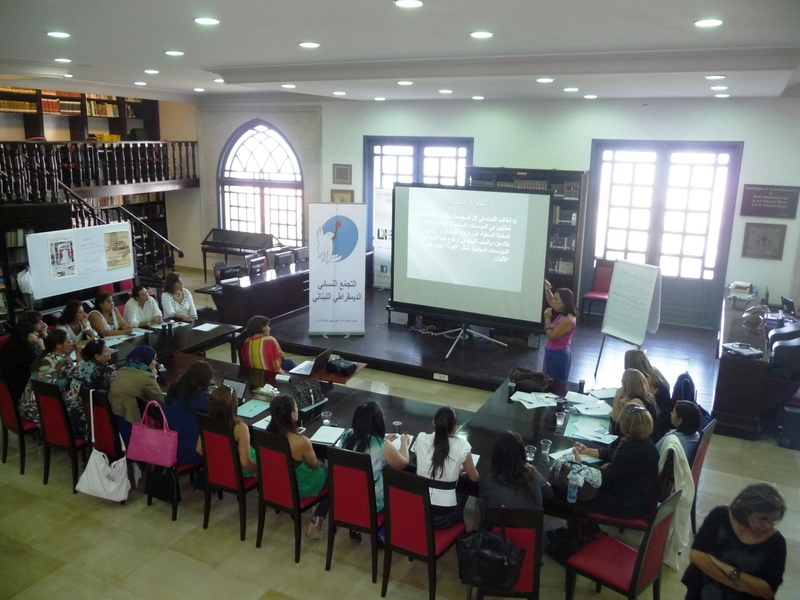 A group of women activists from Kesrouan and its whereabouts, several representatives of the women sector in Lebanese political parties and women members of municipal councils and municipalities, women lawyers and women in the media attended the workshop. This workshop comes within the framework of the “Women’s rights program” which aims to empower women to participate in policy-making and national dialogues and be actively present in the Lebanese parties. Facts indicate that Lebanese women are still systematically excluded from participating in the processes of decision-making, although they participated actively and with a high responsibility in all the uprisings throughout the Arab world, including Lebanon. The workshop included four lectures. Trainer Caroline Succar initiated the talks on the women’s political participation in international treaties as well as on the issue of the women’s quota. Trainer Carmel Mhanna discussed electoral reforms.The closing session was held with the trainer Kholoud Ashram who raised the issue about obstacles facing women to participate in political life. In addition to the lectures, a number of women shared their experiences in the field of public affairs, which gave the women the feeling of being able to access and achieve participation in spite of all obstacles.